XL 5506 x 3773px 15 Mb. 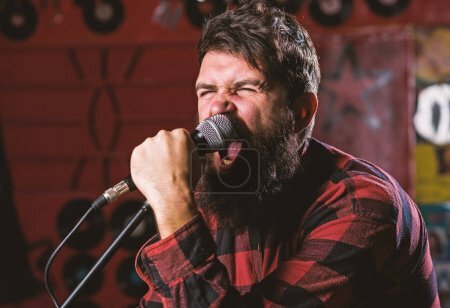 Musician with beard and mustache singing song in karaoke. Rock star concept. Man with tense face holds microphone, singing song, karaoke club background. Guy likes to sing in aggressive manner.